Perfect for adding to lacquer for that tinted alloy wheel look! Unique to Ayce Systems, a NEW way to improve the look of your alloy wheels. Tinted lacquer is new to the market and currently appears on the new M series BMWs. 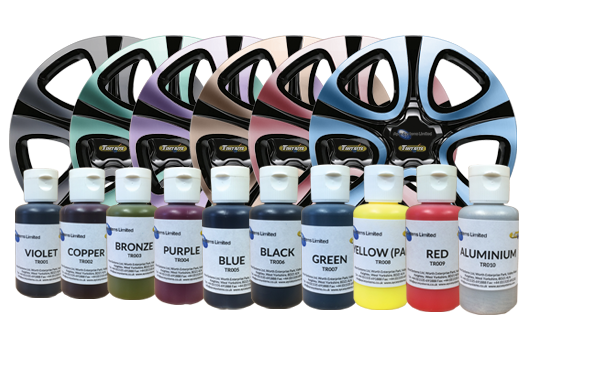 Ayce Systems has developed these special tints that you can drop in to your lacquer to give you the option of tinted lacquer of any colour that you can think of. For more information about our Tintrite kit click the button below to download the print friendly PDF brochure, or if you would like to receive a quote for this kit, please click the request a quote button.